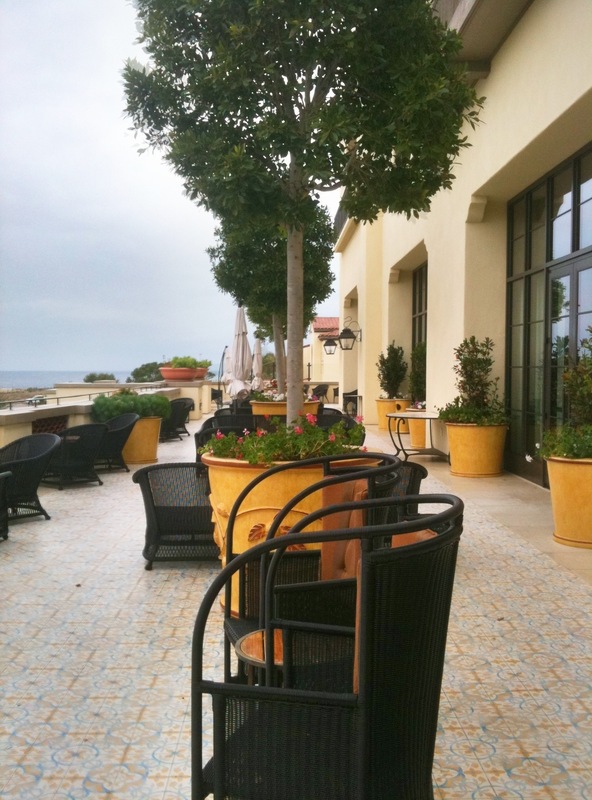 Longing for a quick California getaway and having heard about the beautiful scenery with outdoor fire pits located throughout the property, I knew Terranea would be a good choice. On the property, the first thing I noticed besides the Mediterranean style of the main building, and the fact that I was actually not on a work layover, was the low-key, subdued look of the hotel entrance. A Spanish style fountain in front of the hotel circular drive complimented the tasteful exterior of the simple, yet dramatic architecture. The hotel foyer is decorated with a large round table adorned with a colorful floral centerpiece. Glancing over my shoulder, I noticed a larger room filled with comfortable sofas, chairs and a magnificent stone fireplace, lit with orange flames flickering in the hearth. Since the day was cool and a little damp, the room looked relaxing and inviting. 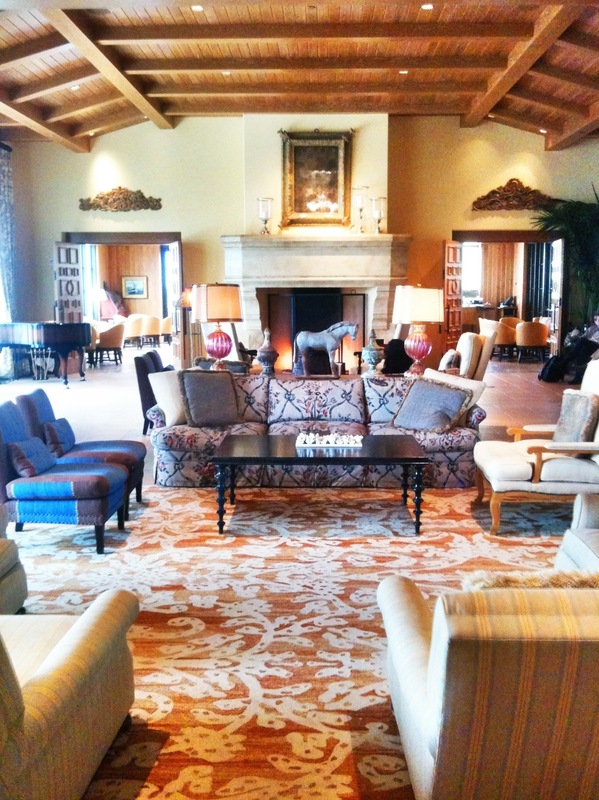 I loved the warmth of the fire, brightly colored rugs and classic decor. 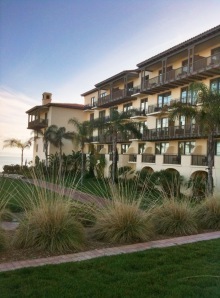 Check in, thankfully, was quick, and I was surprised with an upgrade to an ocean view room, along with directions regarding the layout of the property, pools, and restaurants. Following the sea green, cream-colored carpet down the hallway to my room, I slipped my key into the slot with the anticipation of finally getting a look at my accommodations for the evening. Not at all disappointed, I walked across the room toward a small balcony, stepped out and took a look around. It was delightful not only to see the ocean, but to hear sounds of waves crashing against the rocky coastline. If you are visiting on a warmer evening, you might want to open the balcony sliding door in order to savour the sounds of the ocean before drifting off to sleep.